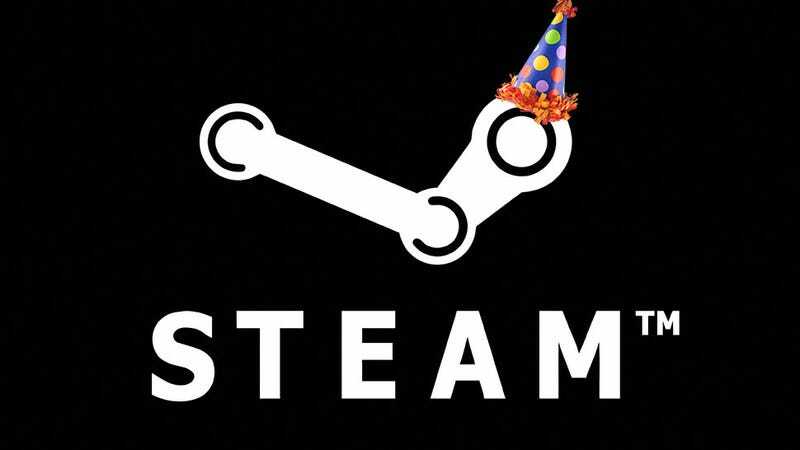 Steam Is 10 Today. Remember When It Sucked? Birthdays are normally a time for celebration, but you know what? People heap adulation on Steam every day of the year. So let's flip it, and spend today remembering when Steam was new, and was just about the worst thing ever. Launching ten years ago today, Steam had a relatively inauspicious beginning. The games business was in the last days of an old-fashioned era, before iOS, before Facebook, before, well, Steam. You either bought console games on a disc, or you bought PC games on CD/DVD. That was it! Steam, though, was trying something different. Known today as a retail and multiplayer gaming juggernaut, the origins of Steam are actually a little more innocent. The idea at its time of inception was that Valve, struggling to keep on top of online updates (and stay one step ahead of cheaters) for its multiplayer shooter Counter-Strike, would create a service that could do all that sort of stuff for them. You would run the game through that service and all the updating, and anti-cheat protection, would be baked-in, providing consistent and reliable support for gamers. Development on the platform began in 2002, and after a successful beta it launched on September 12, 2003. It wasn't that big a deal. The service wasn't mandatory for all Valve games, and was only really useful if you were playing a game (or mod) like Counter-Strike or Day of Defeat. All versions require an Internet connection upon installation. This is for authentication/anti-piracy purposes. Once this has been completed, the owner of either the retail or the Steam version can play Half-Life 2 single player in offline mode. So Steam was mandatory for everyone buying Half-Life 2. Everyone was buying Half-Life 2, and when Half-Life 2 launched...Steam fell over. So badly it even made the BBC. Valve's servers simply weren't ready for the flood of users trying to play the game at launch, and for days, people around the world struggled to even start the game, a real kick in the teeth considering they'd waited over five years for the oft-delayed sequel. We accept server issues at a game's launch as an unfortunate standard today, but that's for multiplayer games, and that's in 2013. In 2004, the idea that a singleplayer experience had to be "unlocked" remotely, even though you held the discs in your hand, was seen by many as an unnecessary intrusion, a roadblock to their enjoyment of a game. It was SimCity, before SimCity. Only for a new Half-Life game. If you weren't involved or around at the time, doesn't matter, I'm sure you can imagine. This left a bad taste in people's mouths. While Valve swiftly sorted out the server issues, and most people had got their games working after only a few days, the memory of that forced installation and subsequent failure would linger for years. You can still find, if you look, forum posts from the time complaining about Steam, complaining about Valve, talking about how the service would ruin PC gaming, how it had ruined Half-Life. In hindsight, these prophets of doom turned out to be so wrong it's adorable. It's not like Half-Life 2 was fixed and Steam suddenly found itself King of the PC gaming world, though. From 2003-2005, Steam was really only relevant to Valve's games, and then only as a means of updating and launching them (or buying them, if you somehow hadn't done that already). It wasn't until 2005, when Valve began signing on external publishers, that the service began to change, not just in its priorities, but in people's perception. By 2007, Valve had convinced many of PC gaming's biggest and most important companies, from id Software to Activision, Eidos to Capcom, that selling their games on Steam was a good idea. It had also, very quietly, improved its quality of service to the point where it was, in online gaming terms, almost bulletproof. Where Half-Life 2's launch was a disaster, by 2007, the thought of the same thing happening for Modern Warfare's release seemed impossible. And it had only been three years! By 2008, a service begun as a way to patch online shooters had become a marketplace. From there, you know the rest.